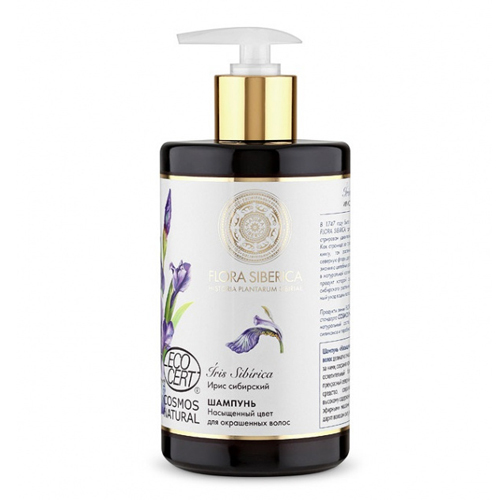 Flora Siberica Bright Color Shampoo is specially formulated for dry, damaged hair and color treated hair to repair visible damage. It carefully cleans, effectively smooths and protects hair color. It’s formulated with natural ingredients — including different roots and flowers extracts. Combined using the latest technology, normally only found in the very best skincare products. Siberian Iris is a beautiful northern flower, widely known as a beauty-preserving remedy due to the high content of vitamin E. It is also rich in essential oils and antioxidants that give hair strength, brightness and radiance.